From 25th February to 1st. March Madrid will held the 34th International Contemporary Art Fair, ARCO. 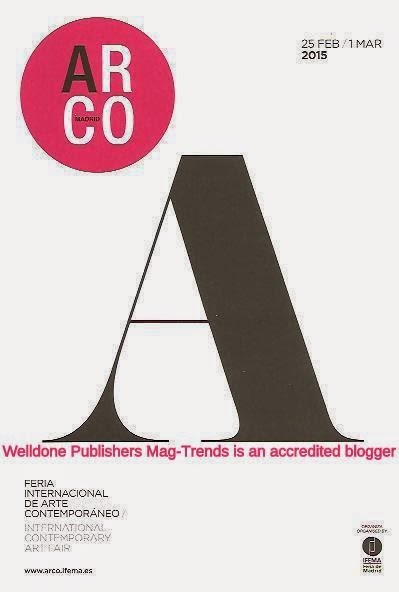 Welldone Publishers Mag-Trends is an accredited blogger & Welldone Publishers is willing to enjoy with the drawings, paintings, installations, video, sculpture, prints and photography from classics through historical Avant-garde to the present. ARCO will show the creations from different countries around the world and we will assist to discussions, Arcomeetings, activities or curated programmes. The presence of private collectors and the return of large international galleries are guaranteed.